Two breeds make their debuts at the Westminster Kennel Club dog show next month. Pronouncing them is a challenge. NEW YORK — Two new breeds. Sixteen new syllables. 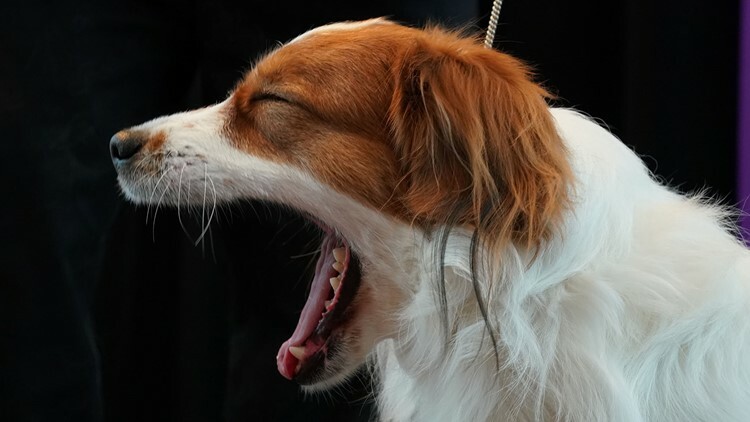 The grand basset griffon Vendeen and the Nederlandse kooikerhondje make their debuts at the Westminster Kennel Club dog show next month, each getting a nationally televised turn among the more than 200 breeds and varieties on the green carpet at the nation's premier canine contest. Dobby, a corgi-terrier mix, is making his fourth try at the agility title. But even if he wins, it won't be the most eventful thing that has happened at Westminster for owner Stefanie Kappus. "He keeps saying, 'What am I going to do to top that this year?'" joked Kappus, of Milford, New Jersey. "It's the Pied Piper of the dog world," said owner Rod Beckstead, of Jim Thorpe, Pennsylvania, as he showed off 2-year-old Bandit on Tuesday.